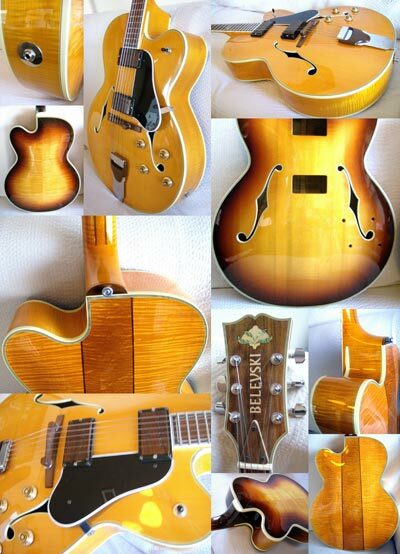 The classic Gibson jazz model! The best and the most expensive combination of highest quality European spruce and flamed maple. This Gibson design is as perfect as an old Italian violin. This is why I consider other designs inferior at best. My creativity is stays in the spirit of the classics. One of the most fascinating and charismatic instruments, ever made. The sound of aluminum! The sound of slide guitar! The sound of blues! The first idea of the Dopyera Brothers from 1929 is the tricone design. 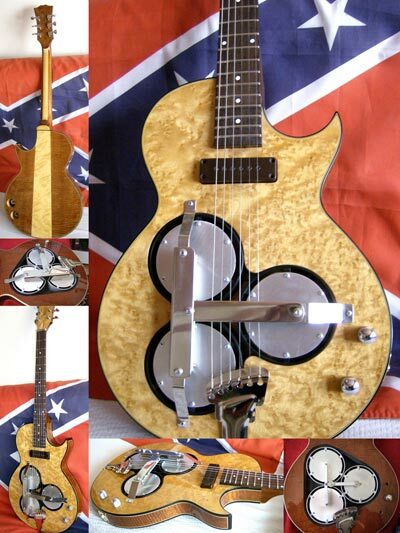 In 1931 – single-cone guitar with a spider system and… My idea from 2009 – triplate solid body electro-resonator. pickup, piezzo-bridge, special preamp, and more, which give the possibility for many combinations of the traditional resonator sound and the high volume and long sustain of a solid body electric guitar. 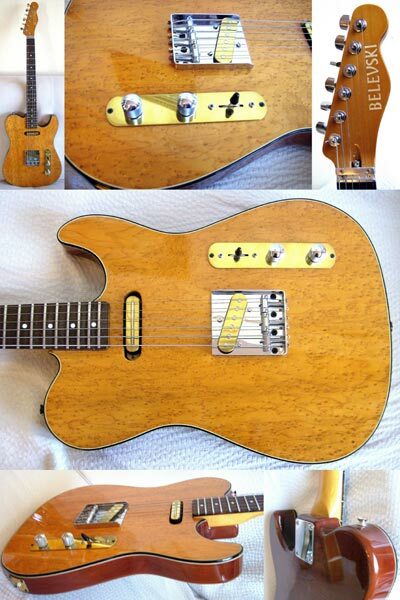 The solid-body guitars are made of fine tonewood. I build solid electrics of any size and shape. All Belevski acoustic guitars are unique! 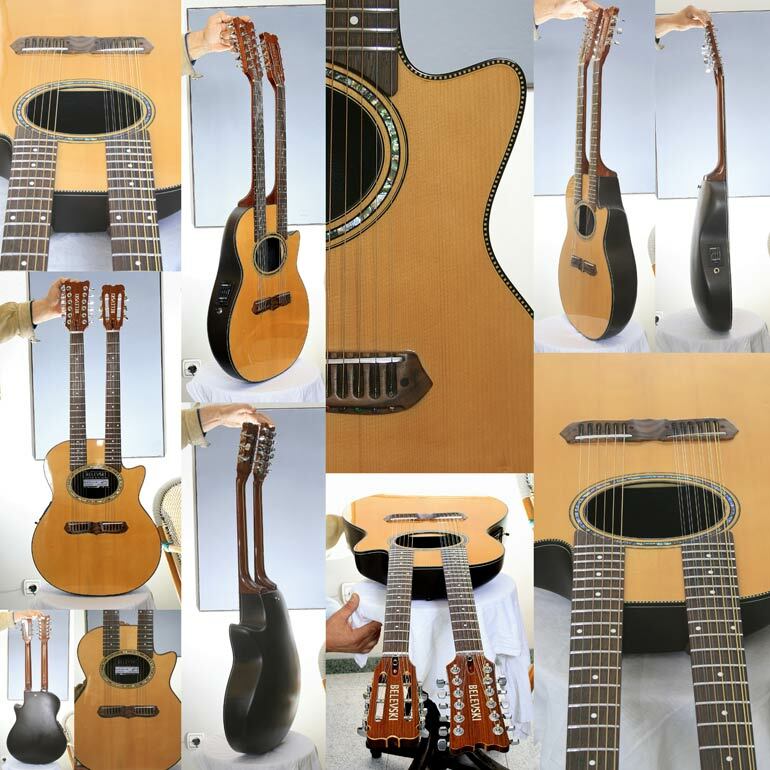 Neck, top, back and sides are specially sorted by acoustic and visual characteristics. Most attention is given to the top - it is made of minimum 10 to 30 years old spruce from the Rhodope Mountains, Thrace. The best spruce in the world! The climate there is best for the acoustic properties of the spruce. 1000-1500 meters above sea level, a soft winter and a hot summer. Accoring to the legends, Rhodope Mountains is the birth place of Orpheus – the greatest ancient musician, and Dionisius – the god of wine in Greece and Thrace. Every top has a special brass construction, which is set-up manually. Every acoustic guitar could be equipped with a piezzo preamp if the customer wishes so. (I work with Fishman and Ilitch Electronics).